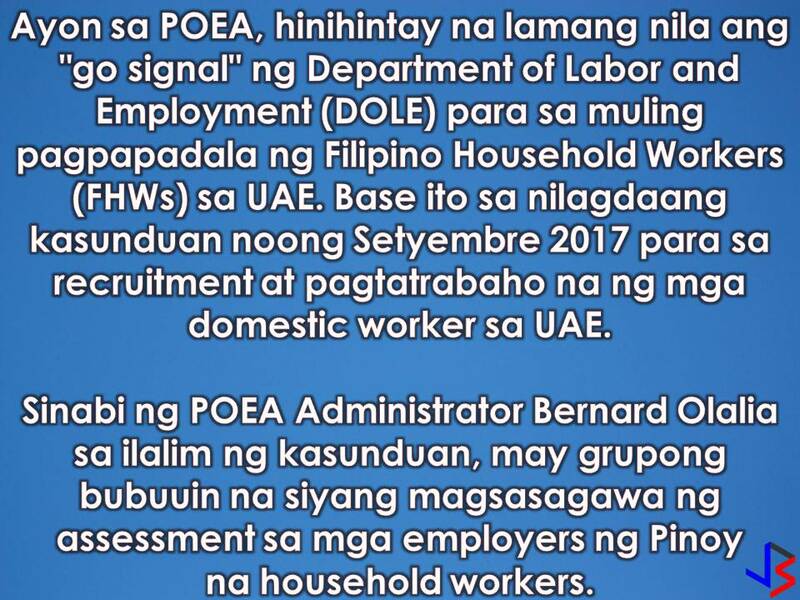 Will you apply for this work just in case the Philippines will lift the ban on Filipino domestic workers in the United Arab Emirates? According to Philippine Overseas Employment Administration (POEA), Administrator Bernard Olalia there is a possibility that the imposed ban will be lifted soon. 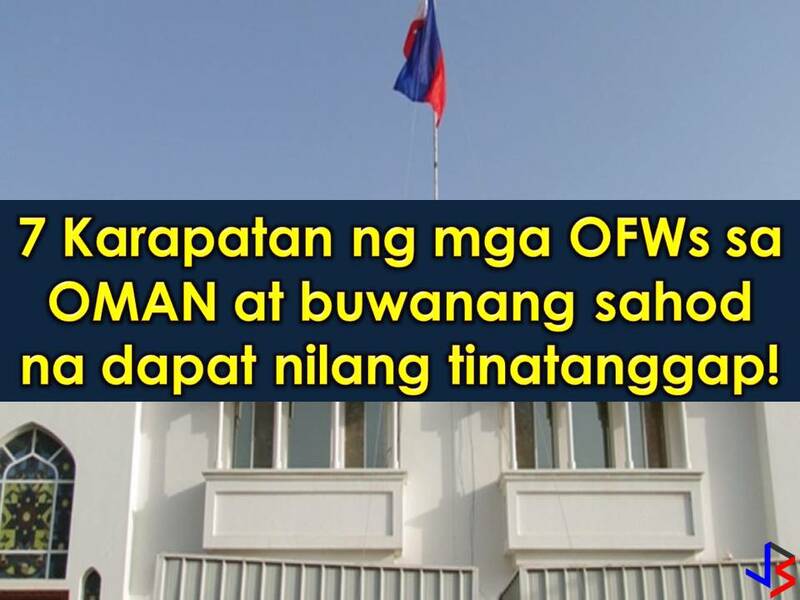 Olalia said that as of now, they are just waiting for an order from the Department of Labor and Employment on sending Filipino household workers (HSWs) to the UAE. This is after the signing of a memorandum of understanding on mutual cooperation last September for the recruitment and employment of domestic workers in the UAE. The MoU highlights the keenness of both nations to bolster cooperation in the field of labor and facilitating the process for approving and recruiting domestic workers in a way that ensures transparency between the contractual parties and that the process is in accordance with the laws of both nations. Olalia said that as per the agreement, a group will be formed to assess the employers of potential Filipino household workers. 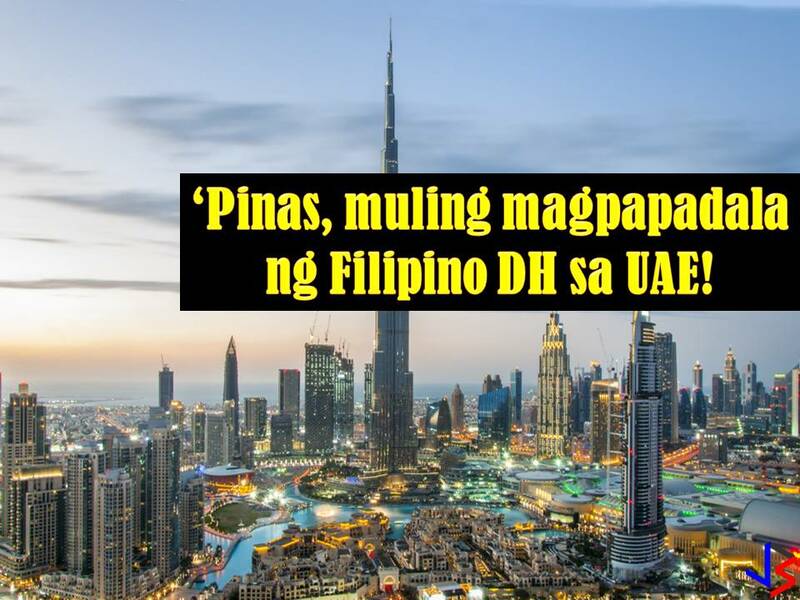 In recent years the Philippine government implemented a ban on Filipinos traveling to UAE to work as domestic workers. This is because of the unscrupulous behavior of some recruiters and cases where Filipino maids are being abused and maltreated. 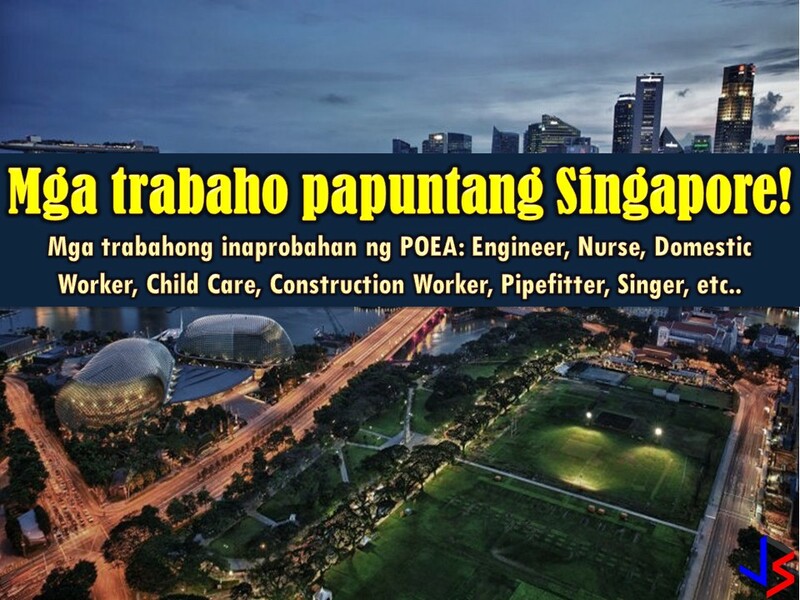 In spite of this, there are some recruiters that are hiring Filipino workers as office cleaners and then moved them into domestic works. 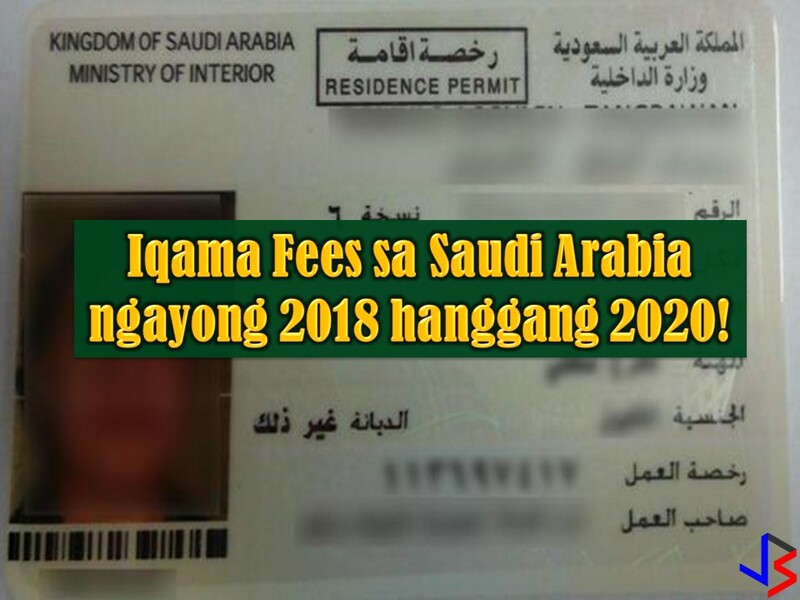 Meanwhile, the Philippine Association of Agencies for Kuwait (PHILAAK) expresses confidence that the deployment ban of household workers to UAE will be lifted. With this aside from Saudi Arabia, Singapore, Malaysia, Jordan, and Bahrain, there is a new opportunity in the United Arab Emirates for household service workers.